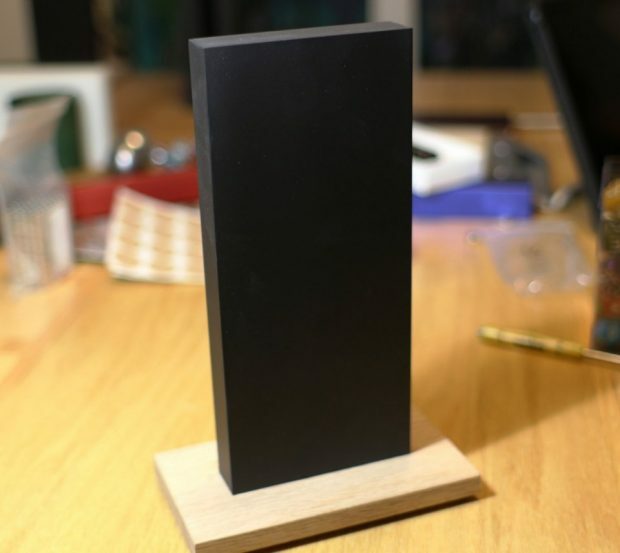 The monolith from 2001: A Space Odyssey was a mysterious “machine” from an advanced civilization. Mankind found one on the moon, but you can get yours from Etsy. That’s much easier than flying to the moon to dig yours up. 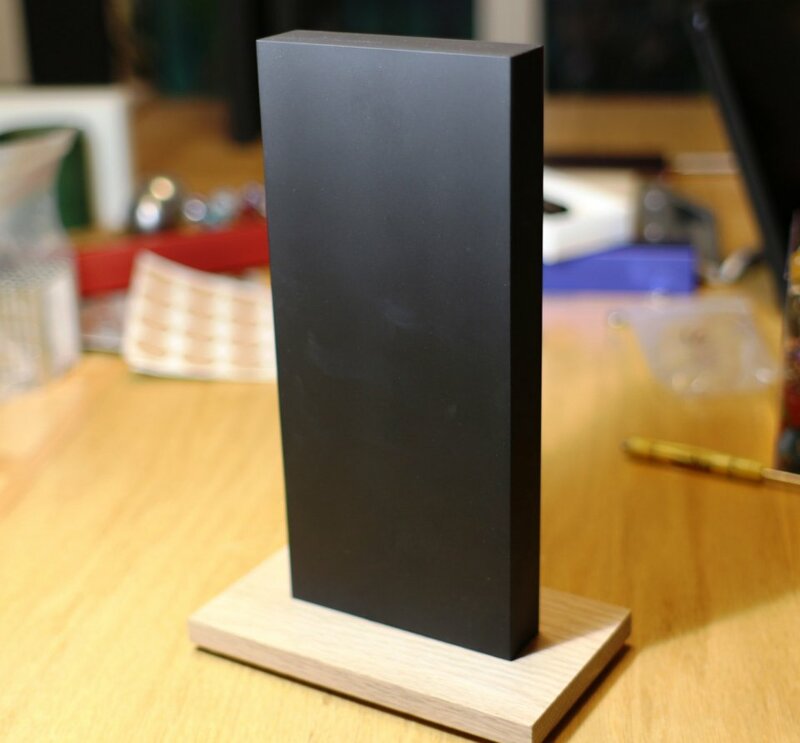 This 9″ tall replica is made from “Cerekote, Dwarven Craft, Space Dwarf, Planet Core, Aliens, Science Fiction, Star Matter, Dark Matter, and Stainless Steel.” It’s the perfect desk toy for nerds like us. 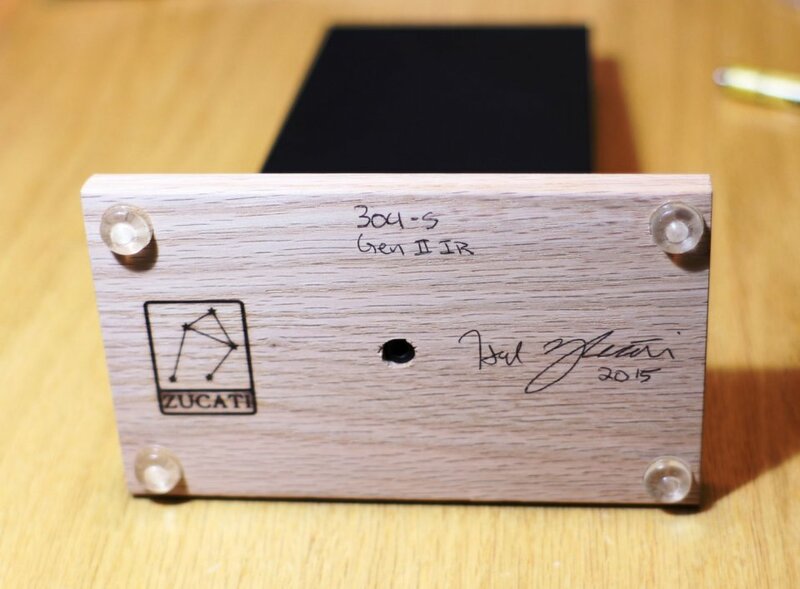 Just set it on your desk and admire it as you play Also Sprach Zarathustra. It’s a little pricey at $700(USD, but how many people can say that they have their own monolith? So shiny and black. So beautiful. The mysteries of the universe await you in it’s black gaze. Your action figures will love it.